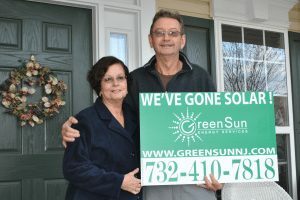 Green Sun Energy Services has empowered hundreds of New Jersey homeowners to become more energy independent. 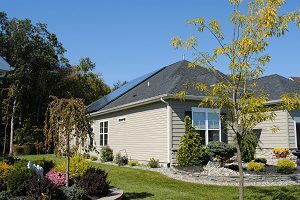 We are a leading provider of solar panel installation programs, GAF Timberline roofing systems, and Generac generator installation & maintenance services. Headquartered in Middletown, NJ our local team supports clients throughout Monmouth, Ocean, Middlesex, Somerset, Mercer and Union County. 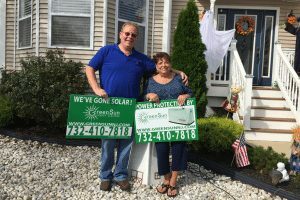 "Green Sun Energy is a Class A outfit. I did my research before taking the plunge, and nothing else even compared. They are detail oriented, and do an excellent job (I am VERY picky). No complaints. Executed as promised. Job done right. Highly recommend." 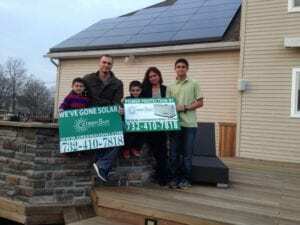 "Hands down, the best solar company out there. 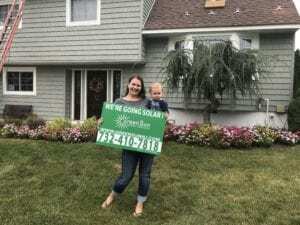 I interviewed several solar companies, and every one of them felt like a sales presentation from an employee who had to "call in" to get approval for every decision. 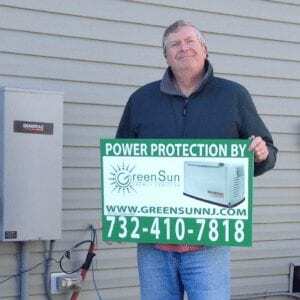 With Green Sun Energy Services, Glen, THE OWNER, came to meet with me. He graciously answered every one of my questions without having to "call in". I especially liked that this company stays with you, and supports your investment. They always have some of their own "skin in the game", so to speak. 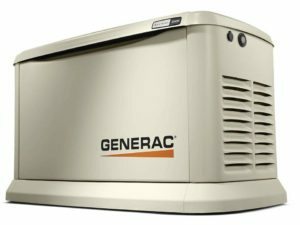 The Generac Generator and Solar Panels were installed to my complete satisfaction, and the website allows me to follow my solar production. Green Sun will also manage all of your SRECS, if you choose, for a small percentage that is totally worth it. In short, I am very impressed with this company and would use them again. Highly impressed and recommended." 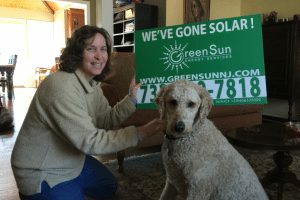 "Charlotte and I highly recommend Green Sun for your Solar and back-up generator needs. Yes, they delivered what they said, follow-up on every question or need we had but also went further. 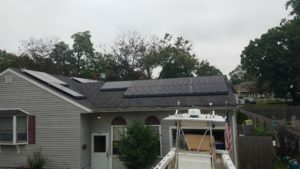 My wife was not in favor of "unsightly" solar panels but Glen came up with the LG all black panels and moved vents on our roof to allow one perfect square to be set. 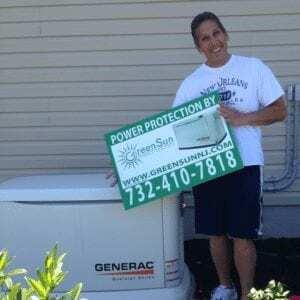 Green Sun was also able to build a Generac generator into our package and we are still making money. They are a family business that provides personalized service. Great Job Glen and Team!" "Don't waste your time looking anywhere else. You get what you pay for with Green Sun! Excellent communication through to completion and beyond. Each of their teams performed their work using the highest quality goods so all the solar panels, piping, electrical and plumbing looked extremely slick and neat. They worked with me on placement of the generator, panels and where in the basement to run everything through, even coming back to fine tune some of the work they had done. One of the inspectors for permit approval even added a nice job and a smiley face on the white approval slip. Timeliness and pride in their work was much appreciated. 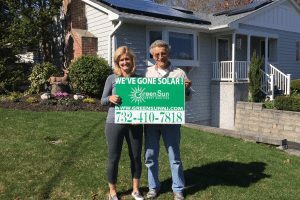 I couldn't have been more happy with the work and highly recommend Green Sun!" 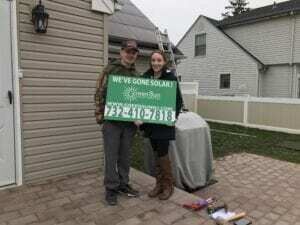 "Glen and his staff did an outstanding job with the installation of the solar panels. I was informed on a regular basis as to the progress that was being made for the permits and work that had to be done once approvals were granted. The teams that installed the roof and generator also did an excellent job. This is a company that truly cares about their customers." 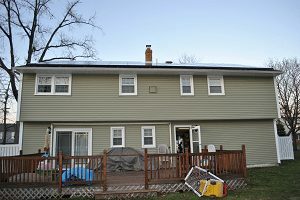 We bought a new roof as well as solar panels. Everything was done as promised and as scheduled. There have been no problems and we are pleased with our decision to go solar. 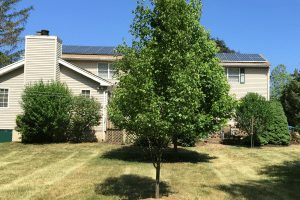 "My husband and I decided we wanted to save money on our electric bills, take advantage of the federal tax credit by purchasing a solar panel system and help the earth at the same time. 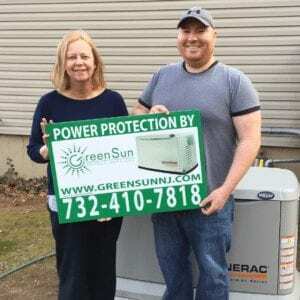 We sat down with 4 different companies, spoke to several more on the phone, and ultimately decided to purchase our solar system through Green Sun Energy Services. During the Q&A, Glen was very knowledgeable, patient answering all of the many questions we had, as well as explaining the many services they offer that other companies do not. Glen took us step-by-step through the process. EVERY aspect of this installation was done in a timely and professional manner. We definitely made the right choice. We now have a solar panel system that I feel was expertly installed and pleasing to the eye. Glen and Chris kept us informed during each stage, and everything was completed ahead of schedule. I can't say enough about how wonderful this company is." 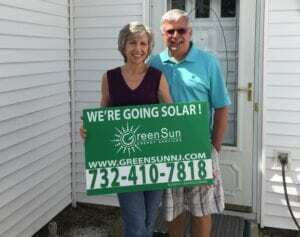 "Green Sun Energy is everything we were looking for and more. Every interaction with Glen was timely, highly informative, professional, and friendly. 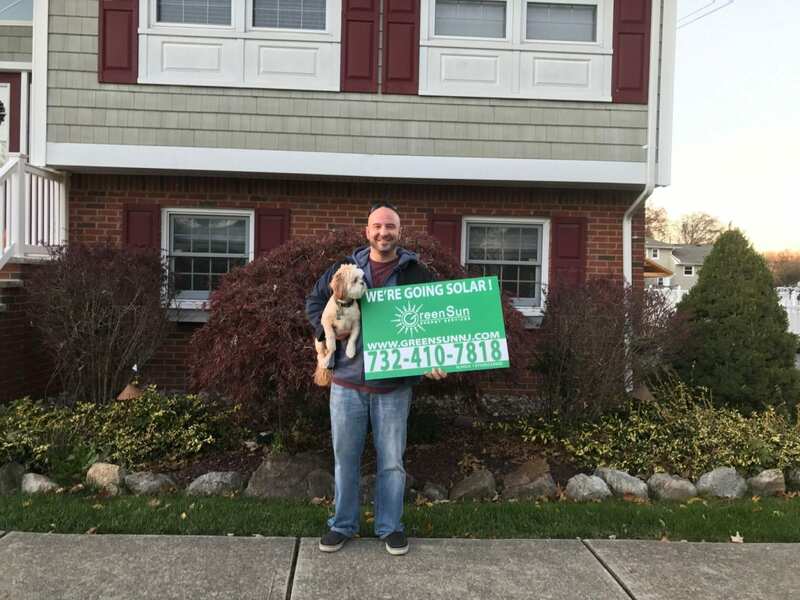 It became apparent early on in the selection process that the complex decision to go green mattered in a way beyond monetary gain-Glen’s caring guidance toward helping us know we made the right decision made us feel like we mattered as people and friends. We also couldn’t be happier with the quality, sleek appearance, and clean quick installation. 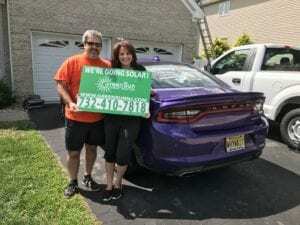 Look no further, Green Sun Energy is the best solar panel company!" "From the first conversation about the feasibility of solar energy for my home to the completion of the installation everything went superbly. There were no surprises. The job was completed ahead of schedule. Everyone from the managing partner to his crew that performed the installation I have nothing but high remarks. Everyone was competent, courteous and efficient. The system is producing power and I have no electric bills to pay anymore. 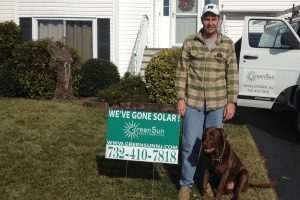 I would highly recommend Green Sun Energy Services, LLC to anyone considering the installation of a solar energy system." Excellent experience from beginning to end. 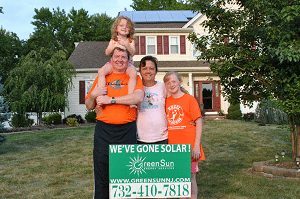 Green Sun Energy Services operates a very professional business that delivers high quality service, on time and as promised. 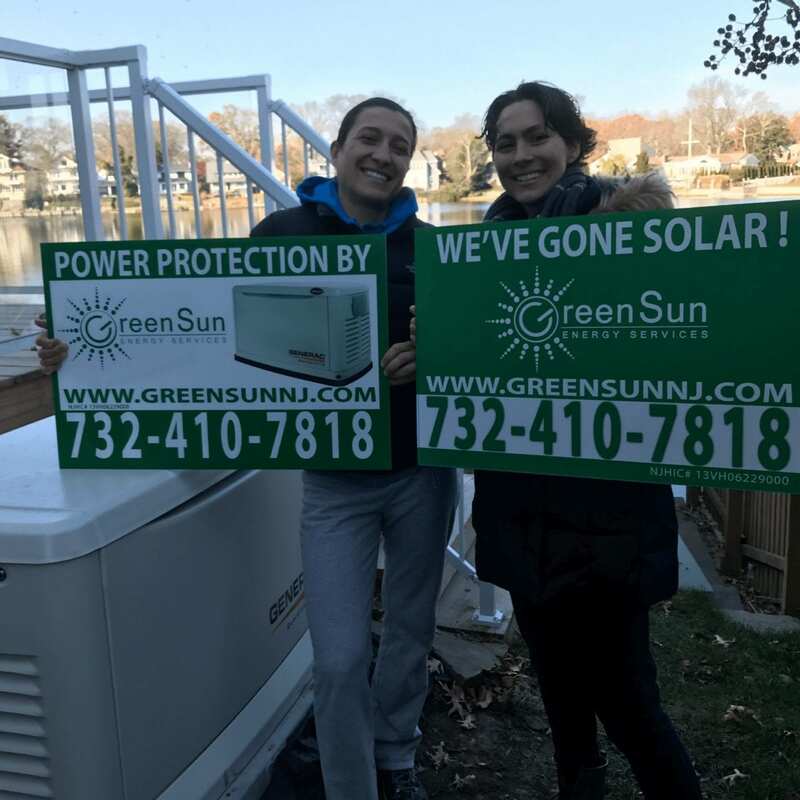 If you are interested in adding solar to your home or business I highly recommend that you speak with Green Sun Energy Services. "We had a great experience. No bumps in the road. Gave us an entire break down of the plan. Made us aware of all the steps that we needed to take and what we should expect. Highly recommend them. Thanks!" 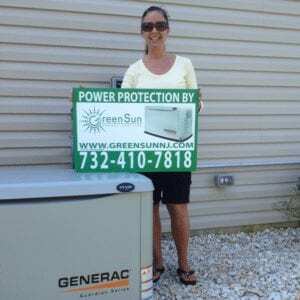 We interviewed 5 other companies before choosing Green Sun Energy Services. 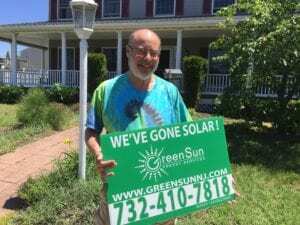 Green Sun was by far (mathematically and contractually) the best offer for going solar and we've been happy with our decision every day since. The panels look fantastic, were installed efficiently and professionally with no 'eye sore' aspects we had observed of other companies out there and we’ve experienced excellent production (which we love to track daily on their software). Glen and his team are great to work with, I would highly recommend them with no hesitation. "Very professional from start to finish. 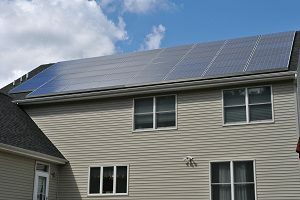 My Solar install was one of the first in my town. Glen and Chris went above and beyond to resolve all issues from design hurdles to education of the township inspectors. They spent time to make sure that our panels were placed for best performance, but would be also aesthetically pleasing." 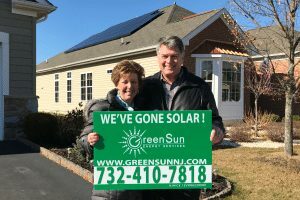 "Glen Koedding and every member of his team at Green Sun Energy have made the entire process of switching to solar a pleasure. From the beginning, he was comprehensive and detailed in his explanation of the product, responsive and informative about every question and concern, and professional and timely with the installation and all of the paperwork. I am still in shock - since our installation I have not had to pay a single bill to JCPL. This is a wonderful investment and has been a wonderful experience." "...a pleasure to work with from beginning of the project till the end. Installation employees were thorough and neat." "Installers were very punctual. They worked very meticulously, cleaning up as they worked. They were very careful and planned everything out thoroughly. The installers worked well together and we're in and out in no time. Everything was completed as promised." ...No gimmicky sales, spot on with the financial analysis and they were great with implementation services and expectations. The SRECs are paying off and it was the right option for us to purchase the system over leasing, which Glen helped us decide with his industry knowledge. We are extremely happy with the program. 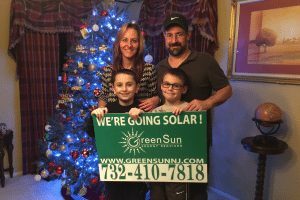 Plus it felt good to support a local NJ business over the bigger Solar corporations without sacrificing on quality or cost. 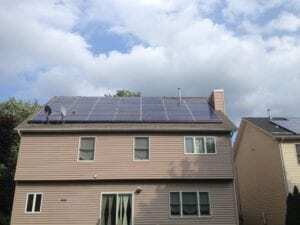 Great install, very knowledgeable about all solar programs, hands on, very neat look on my house, overall perfect job. Love to see that PSEG bill every month. Oh wait I haven't seen it since Green Sun installed my panels. PSEG has now paid both my gas and electric bill for the past three months because I have over produced so much energy. Easily and extra 200-300 dollars a month in my pocket. Thanks Green Sun! 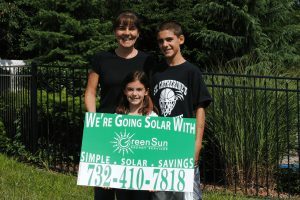 We had Green Sun Energy Services install our Solar System 3 years ago and it has worked out very well for my family. Everything has worked as expected: in terms of our Utility Bill being much lower and the SREC program working so well that it has been a truly outstanding benefit. Glen Koedding and his whole team were outstanding in every way - Customer Service, skill level and expertise, and follow-up/responsiveness. They worked very hard to guide us through the process and I am grateful to them for their diligence, persistence, and work ethic. "Everything they said was true and accurate. I generated almost a 1000 kWh than my estimate. The entire year cost me 26 dollars for electric. With the SRECs and the electric savings I should recoup my investment in 4 years." "Awesome service from start to finish. Ongoing management of our array is superior." GSES is very professional and the work was exceptional. They did everything they said they would and they were pleasant to work with. No hidden fees, no nonsense, just the great solar system I was looking for. 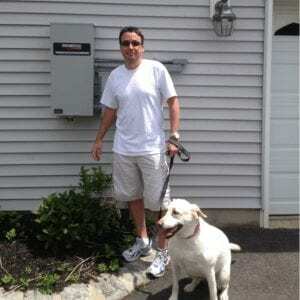 "Ontime, they did all paperwork with town, the electrical company and oversight agencies. Work was neat, efficient, and timely. The system and warranties explained in detail. Work and system far exceeded our expectations." 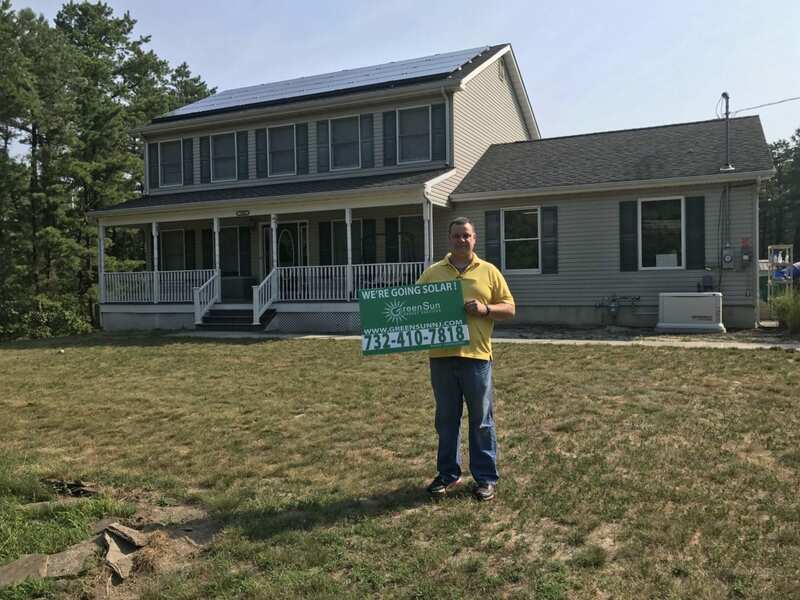 "Deciding to install solar electric to our home was an important decision. 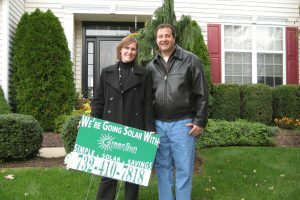 However, using Green Sun Energy Services was definitely the right decision. The team of installers were superior workers as well as courteous, professional and efficient. The job was completed in 1 1/2 days, and our electric meter immediately started spinning backwards. The management team of Chris and Glen were most knowledgeable and carefully explained the process and the equipment so that it was easy for the homeowner to understand. 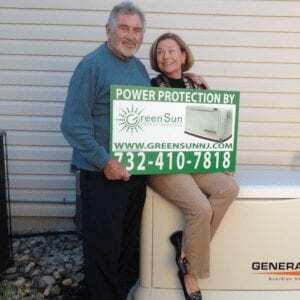 We highly recommend Green Sun Energy to get the job done. Do not hesitate to contact them." Green Sun installed our solar system in 2013, and we've been very happy with it ever since. The system was installed on time, it looks great, and it's on target for paying for itself ahead of schedule. In fact, we seldom have a balance due on our monthly statement from the local power company! Green Sun monitors and manages the system for us, completes an annual inspection and panel cleaning, and manages and sells all of our SRECs! 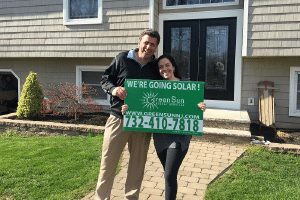 I would highly recommend Green Sun for anyone considering solar in New Jersey. "You have to go solar and use Green Sun to do it! They were amazing from start to finish. Glen and Chris made sure we understood everything every step of the way. The installers were great as well. They treated our house like it was their own. We are enjoying watching our meter spin backwards!" 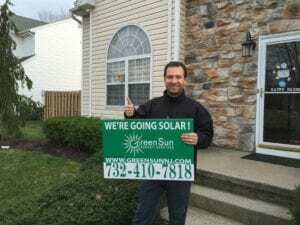 "Green Sun Energy is an amazing company run by professionals. 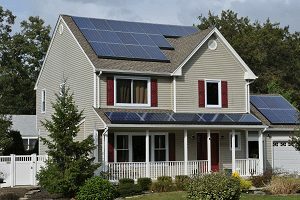 I'm having a solar for more than two years. When Chris and his team did a sales, it was very transparent and straightforward deal. The after sales service is exceptional. I'm a happy customer." "The whole process from meeting with Glen who explained the complete process was outstanding. I had met with 2 other contractors before meeting with Glen who had more knowledge on the generator then both of them combined. 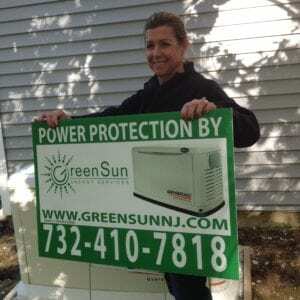 The installers were very professional,knowledgeable and friendly,would highly recommend the entire Green Sun team." 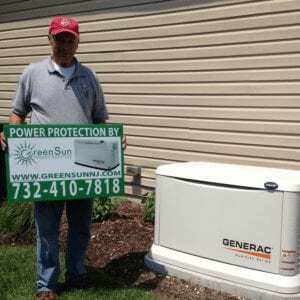 "Green Sun Energy Services is a very friendly and professional company. They helped me determine my needs and designed a system for a reasonable price. The installation went very smoothly. 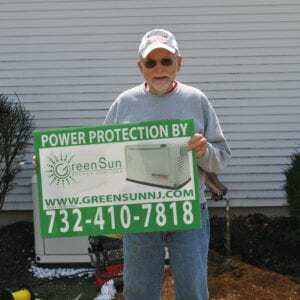 I would highly recommend Green Sun Energy Services." 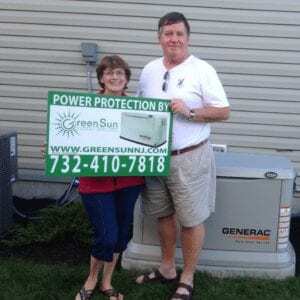 "Green Sun Energy Services did a fantastic job. They were professional, did quality work and were very knowledgeable. They were in constant contact with us keeping us up to date as the job progressed.I would highly recommend them." 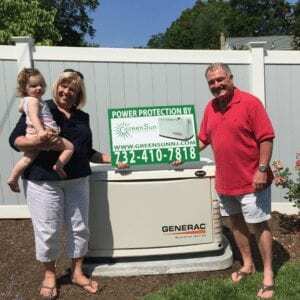 "We just had a 16 kW Generac generator installed at our home by Green Sun Energy Services and I highly recommend their services. The level of expertise is incredible! They communicate with you from start to finish. You know exactly when things are getting scheduled and when they are done and it's all done on time. 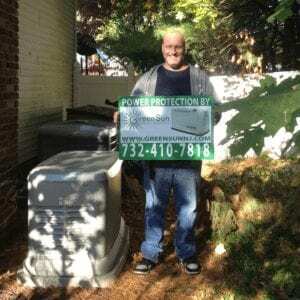 If you need a generator or solar system I highly recommend this company." "The business was conducted in a thorough and forthright manner. The generator was sized for the house and not over engineered. The plumber and electrician did and excellent job of installing and cleaned the premises very well. The pricing seems to be in-line with other firms. They were very professional." "Glen and Karen were great to deal with. Everything from start to finish went very smoothly. They kept me well informed, and answered any questions. The installers were professional and everything went as scheduled. Would definitely recommend them to family and friends." "Every step from permits to final walk through was flawless. 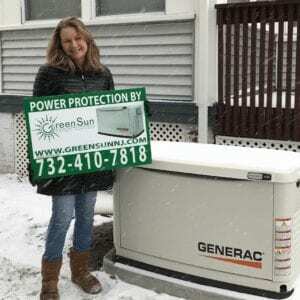 I actually signed the contract with Green Sun Energy for the generator before I closed on my home. 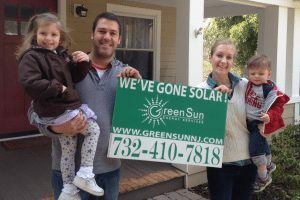 Green Sun Energy handled every call and all the paperwork. I could not have been more satisfied. The owner, Glen Koedding, really kept me informed every step of the way. There were no surprises at all. The installation was right on schedule. We have since lost power a number of times and the generator has worked without any issues. 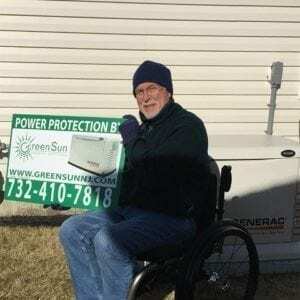 I would do it all again with Green Sun Energy." "From start to finish everything went great! I had other estimates done before Green Sun came out. Glen came out, answered every single question in very simple to understand terms. His price was the best and presented me with every option as far as the size generator I would need and the payment options available. I am also happy to say he gave me the time to think things through without the pressure of constant calling. When we were ready, he came out and told us step by step what would occur, who would come and how long it would take. Over the 2 month process with permits and zoning and inspections, he kept us completely informed. The plumber and electricians he uses were also incredibly professional. They all answered all my many questions patiently and in a way I could understand. I was extremely pleased with the work that was done and would highly recommend them to anyone!" "Installation of Generac model 6244 20k generator, shared switch load converter, electrical and plumbing. From start to finish they got an "A" - The best contractor I have ever used. Great communication, neat, stand by product and were not over selling their product." "We first went to the plumbers and electricians that we had worked with over the years, but we didn't have luck because they seemed so busy. We asked Green Sun for a quote and Glen responded right away. He understood our needs, gave us choices and mapped out the process in easy to understand steps. We were pleasantly surprised at the level of detailed engineering knowledge that Glen demonstrated and his professional business systems he had put in place in such a short period of time. Glen and Chris were great at setting expectations and then delivering. 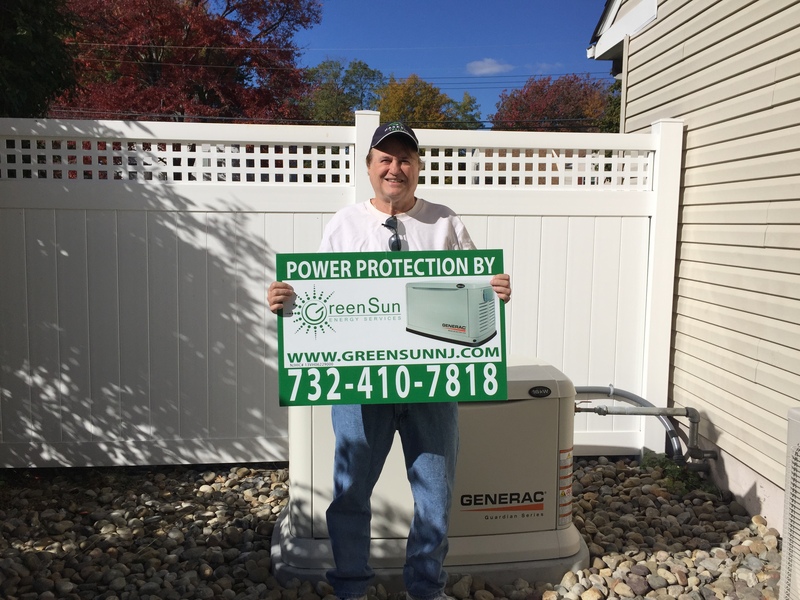 And Green Sun's after installation service brings us a feeling of security that when it's needed the generator will work as advertised." 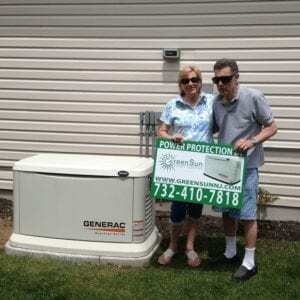 "Glen came to my home and educated me on providing backup power for my home. Gave me a great price on installing the unit and did a great job from start to finish. 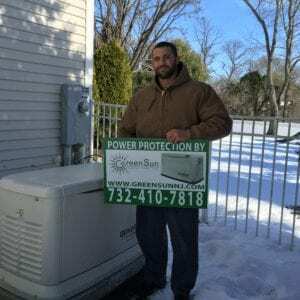 I highly recommend contacting Green Sun for your home energy solutions. 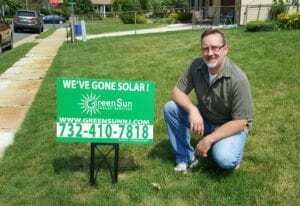 Call other service providers first, then call Green Sun. I guarantee you will enjoy dealing with them over their competition They are very professional, friendly and truly looking to ensure you get what you need so you don't have to worry about them selling you something you really don't need/want." "Service was excellent. They were very professional and kept us informed of everything. We did experience a little problem which they immediately addressed to our complete satisfaction. They also contacted us recently after a snowstorm to inform and remind us that snow should be kept away from the cooling area. I would highly recommend." "Glen was very helpful to explain everything to me to advise me what I need and don't. The electrician people were very professional. The plumbing people were very accurate." 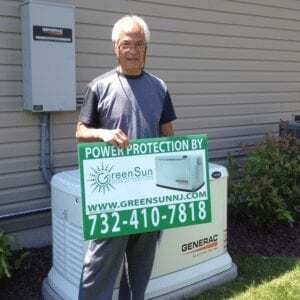 "Green Sun Energy Services did all the design, installation and maintenance work. Excellent." "Every inspector that visited mention how great the plumbing and electrical work were. These guys were top notch. I couldn't ask for anything more!" "Their service was excellent. You get what you agree on. Their professionalism is great. They have a efficient communication system and follow up. The best part for me was dealing with Glen. He is very personable and tells you what you can expect. 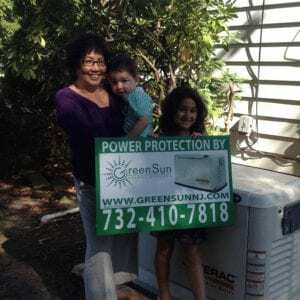 When I rate a company it is usually rated as good in most cases to encourage improvement, in Green Sun Energy's case I can only rate them as excellent in all categories." "Successfully accomplished project - all aspects. Design, acquisition of equipment, inspections, introductory training preparations for routine maintenance. All in all a professional "turn key" project. All contractor and subcontractor personnel were competent, on time, schedule established and all were helpful in explaining system and its function. Totally satisfactory experience." "Installed whole house natural gas generator. Went well - as promised, great service and oversight." "Planning, delivery and installation of natural gas powered generator for the whole house. All phases were excellent." "Always prompt, neat workers, very reliable." "Ordering the correct size was simple with their help. 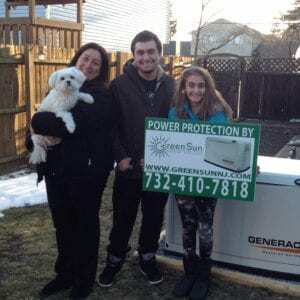 Excellent service with installation and follow-up." "Had the generator seamlessly contracted for and installed in Oct-Nov 2013. The project pricing was very competitive, and all permits and contractors were scheduled and handled by Green Sun. They always answer any questions promptly, as well as communicate by email extremely well. Each step in the initial installation process was documented and informative. Before the last couple of big storms here, they sent out emails on how to prepare and check the generator over in case of having to use it. Very proactive." "They took care of everything including the permits. The entire process was flawless from the gentleman who came to explain everything, to the installer, to the final product. I have absolutely no complaints. They were always on time and cleaned up well. As issues can arise in any circumstance. They were quick and professional to address and move forward. I would highly recommend their service." "Everything happen according to bid and description at first meeting. 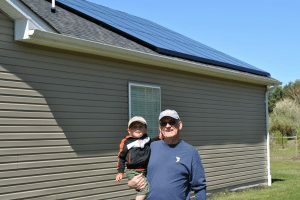 Overall Rating A"
"Living in an adult community numerous residents including my self met with a gentleman named Glen Koedding of Green Sun Energy Services at our club house. Mr. Koedding patiently explained to us what the generator can do for us in case of an emergency and the functionality of the generator, thoroughly answering all our questions. The project was a success. Mr. Kodding's company took care of everything. The ordering of the generators, permit allocations, electrical contracting, testing of the the generators and arranging for the towns inspections. 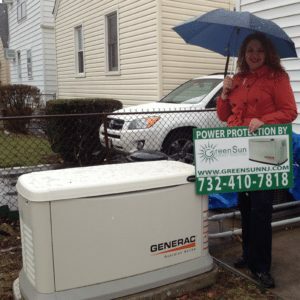 Green Sun Energy has now installed over 30 generators in our community. During the process Mr. Koedding could not have been nicer." "Installed a 20KW gas generator. Reasonable price, very responsive, good job." "Schedule and installation on time and supervised. Very helpful and knowledge of product." 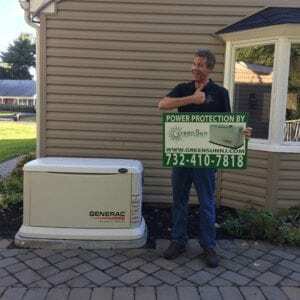 "Installed and service emergency standby generator connected to natural gas line. Professional, competent, helpful, always available. Competitive pricing for initial installation. Offers comprehensive and reasonable proved service programs after installation. A pleasure to deal with"
"They handled everything including filing for permits, picking up permits, ordering/delivering/installing equipment, arranging for inspections, and arranging financing. It was very easy and the workers were very clean." 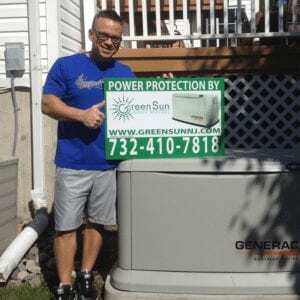 "Green Sun handled everything on our generator installation. 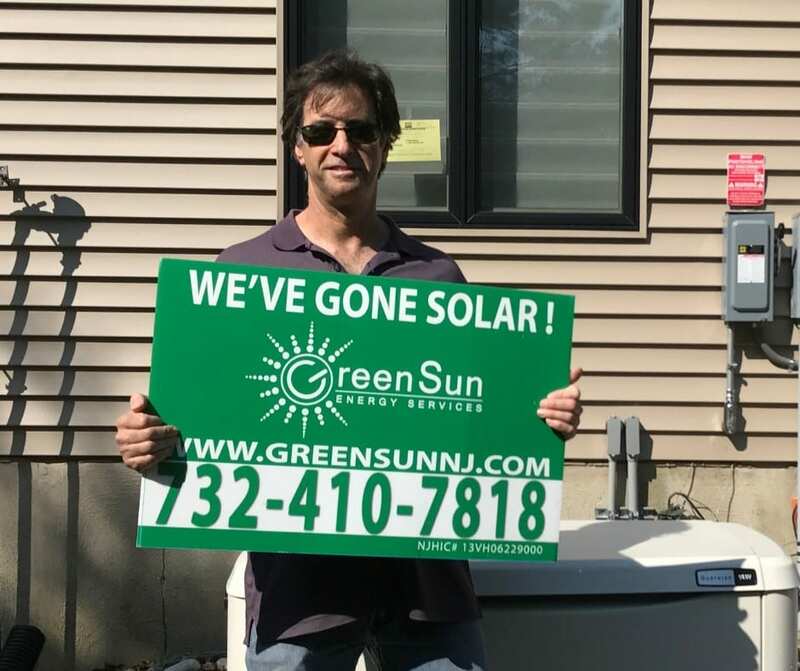 From the permits to the final inspection and the first oil change Green Sun handled every aspect of this install and it went smoothly." "Glen was very helpful in every way. His crew did a fantastic job from start to finish. They were a pleasure to deal with." "Generator selection, site selection, township permits, electrical and plumbing requirements were handled in a professional and expitious manner." "After Hurricane Sandy we lost all electricity. When we got it back our children and grandchildren (all of whom had also lost power) were forced to move in with us. We decided to get a whole house generator if it ever happened again. Our son had a gasoline powered generator but had to wait on giant lines. 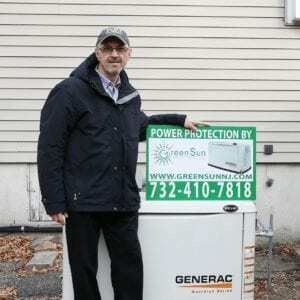 Green Sun installed a gas generator attached to our home gas line. Set to go on automatically." "Installation was prompt and professional. All staff maintained professional demeanors. Coordinated installation with electric and gas companies. Obtained all necessary permits. Followed up after installation. Very satisfied with the job done and the company as a whole." "Great! Came on time. Finished when expected. Service outstanding!" "Great job! 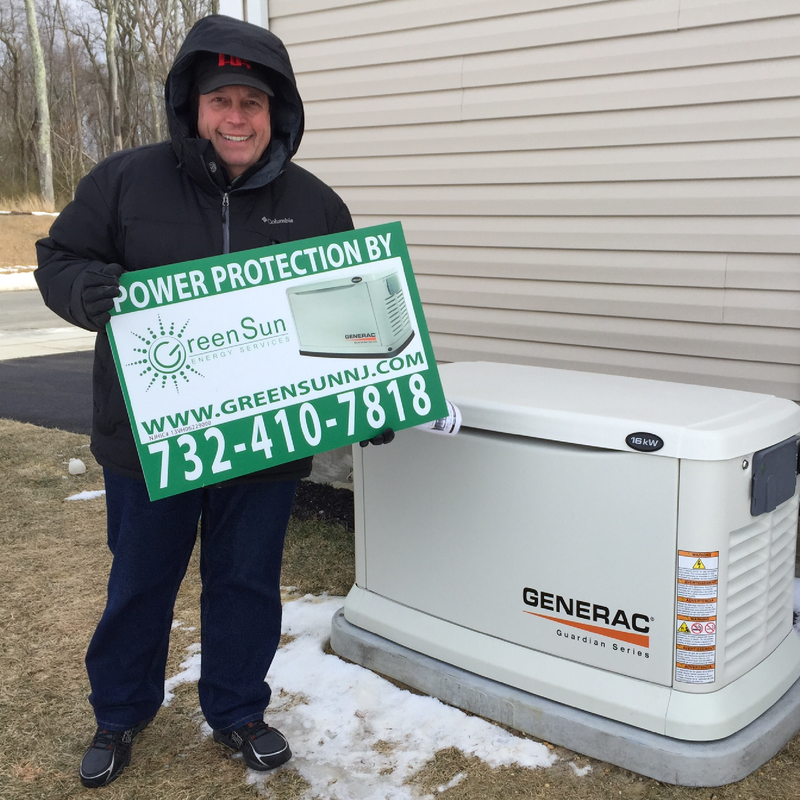 Very professional and now I don't have to worry about the generator kicking in when I need it....including wireless monitoring the unit."